Rhubarb has arrived. For a short time only! It’s been ridiculously early this year, as has everything else. But I don’t mind because I’m tired of eating mealy apples and bananas. I am ready for fresh produce to start rolling in and a little extra variety in my refrigerator. Because I hate mealy apples. If an apple isn’t crisp and doesn’t have that satisfying juicy crunch when you bite into it, it’s just not worth it. 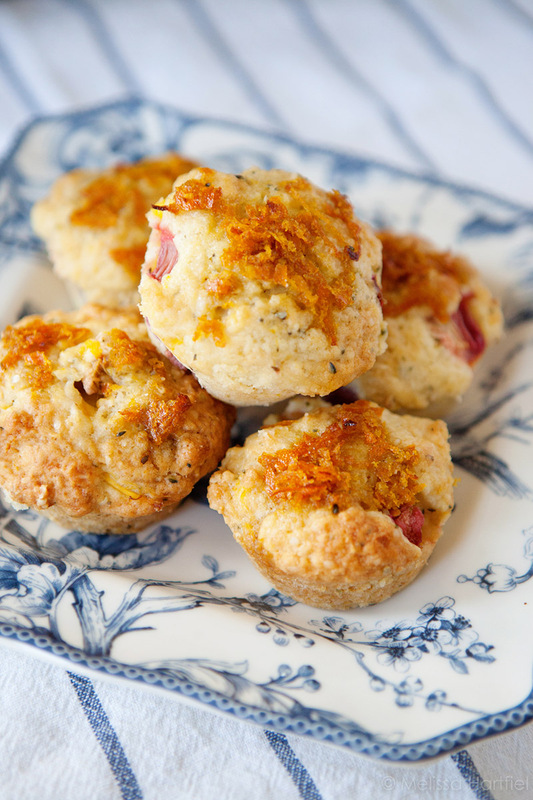 These muffins are a twist on a previous rhubarb muffin recipe that I make often. And I actually made them with the last of my frozen rhubarb from last year that I wanted to use up before I started harvesting fresh stalks from the garden. But I’ve never baked with hemp seeds before. In fact, up until six months ago, I had never even tried hemp seeds and after hearing so many of the health benefits from adding them to your diet, I wanted to see what they were like. I’ve been tossing them into my morning green smoothies – alternating between chia and hemp. I like that hemp seeds add a certain natural nutty sweetness to the smoothies, so I thought a muffin would be a good first try for incorporating them into baking. And as I mentioned, this is a recipe I’ve made often, except with coconut instead of hemp seeds. The difference the swap made to the flavour was very noticeable. Coconut is quite sweet when it’s toasted so I didn’t feel that any sweetness was lost but the hemp seeds did add a really nice, new flavour – a little bit nutty and earthy. I really enjoyed it and will start using them more in baking. 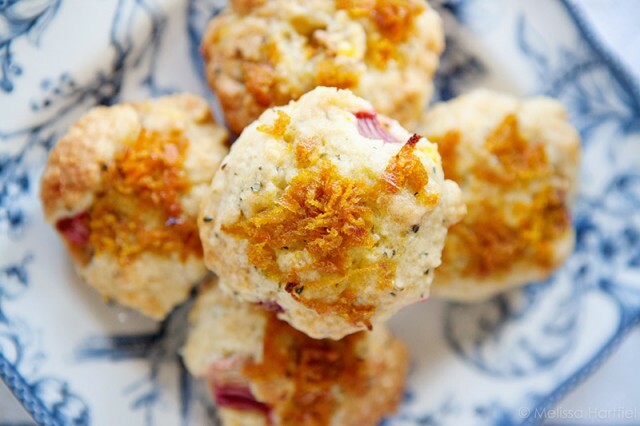 These muffins look great and I bet they are quite filling too. I’ve yet to try hemp seeds but you’ve gotten me curious to do so. Hope you are feeling better. I’ve never ever baked with the hemp seeds. Are they the same as hemp hearts? Even so, I’ve only used hemp hearts to sprinkle onto smoothie bowls or bowls of yogurt & berries in the morning. I find them sweet & nutty, and I bet they made a great addition to your muffins. P.S. Mealy apples are THE WORST! So disappointing! 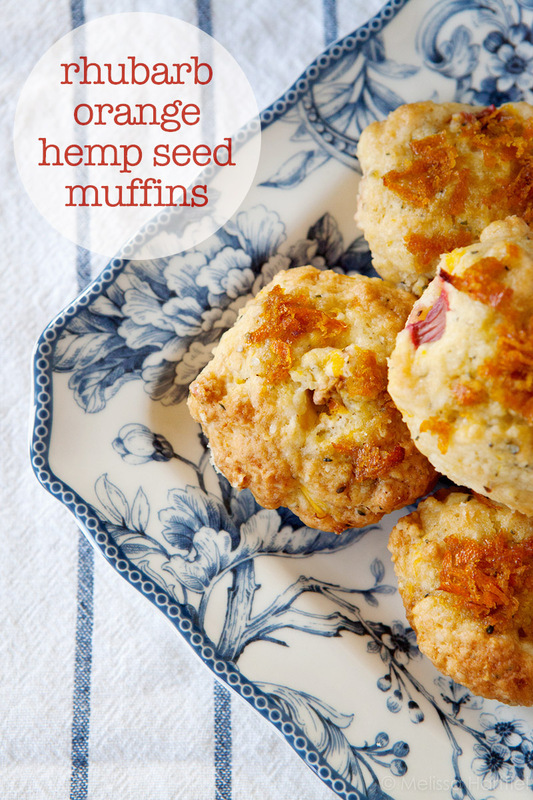 I just made your recipe because I was trying to use up some hemp seeds AND rhubarb, The muffins turned out well. The only change I made was to cut back the salt a tad. Delicious, thanks for sharing this recipe! So glad you enjoyed them! They’re one of my favourite muffins to make. I’ll try them with less salt next time and see what I think! Thanks for letting me know you enjoyed them.